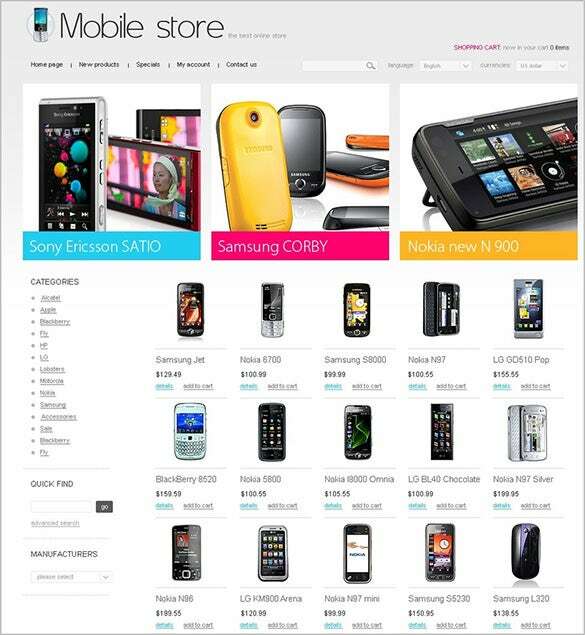 Our osCommerce templates for mobile store has unlimited products and categories. 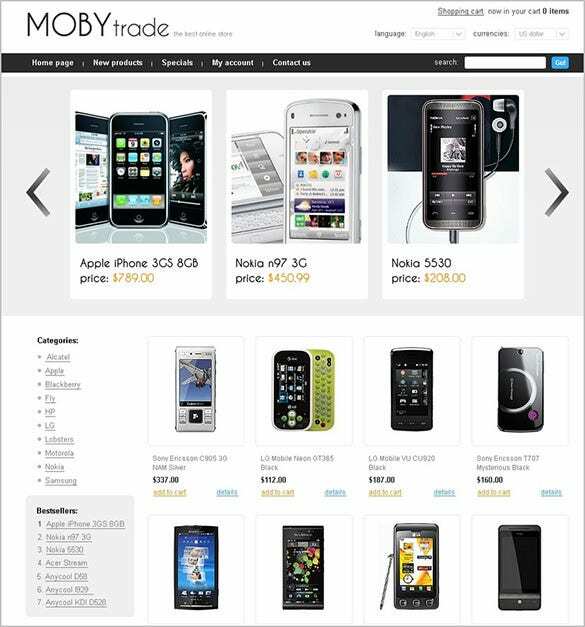 You can use these templates for creating a website that could be used to sell both mobiles and other related products like covers and accessories. You can add, edit or remove categories and every small detail with very little technical knowledge as we provide instructions and support for each of free downloadable template.you can also see Toy Store OsCommerce Themes. Online Mobile Store with its skillfully composed theme for online mobile stores, is loaded with a lot of features including sliced PSD, dropdown menu, favicon, customized modules and online chat option. 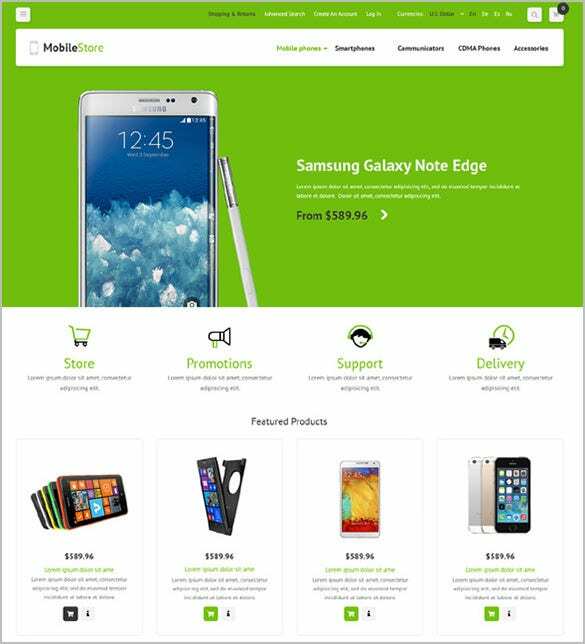 Simple Mobile store is greenish a theme template developed for online mobile sale. The theme is designed with a clean background, upper slider displays, sketchy icons, additional links, contacts, and social media option. 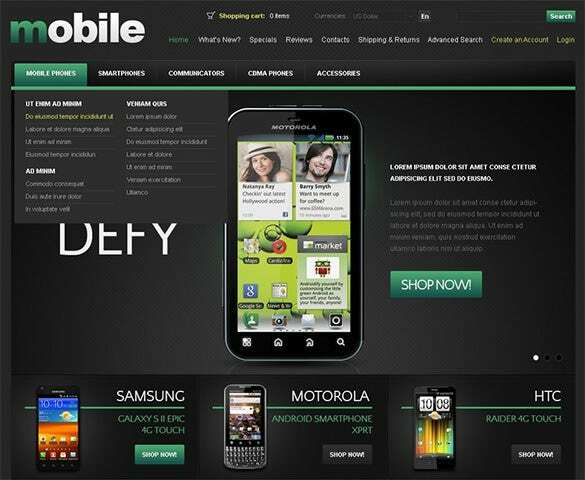 Pretty Mobile Store is a cute design for your online mobile stores. The theme comes with a two column page layout, admin panel, sections for search, new products, shopping cart, and quick navigation tools. 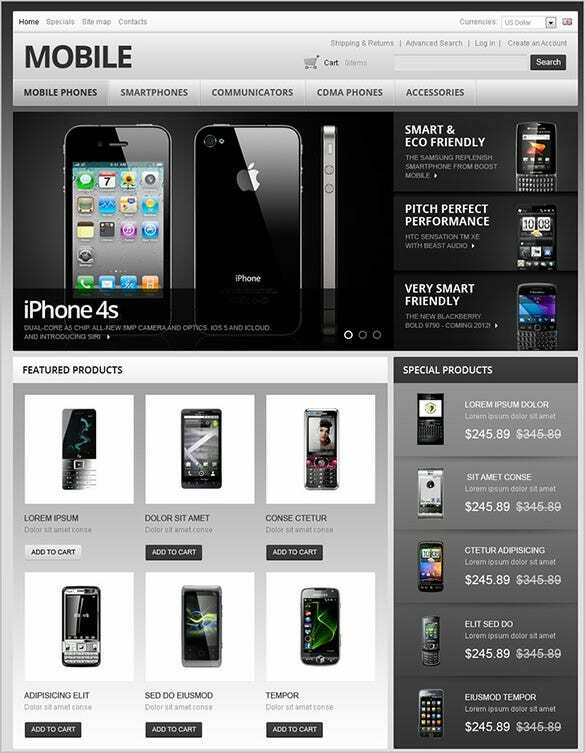 This is a great mobile store theme that is fully responsive and uses the Bootstrap framework and a solid grid format. It is perfect for ecommerce, shopping and retail websites. Dazzling is an astonishing theme blended in a dark and shining layout for your online store. With content blocks divided between lighter and darker shades, it has sliders for image projection, 3 columns for featured products, dropdown menu and widgets. 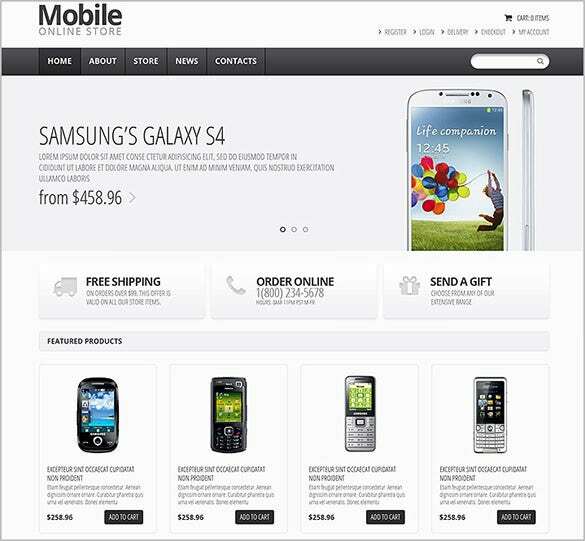 Dark Mobile store presents your online store in a black background with a glittering effect. The theme supports manufacture wise search options, exclusive sections for the feature and latest products, and shopping cart options. 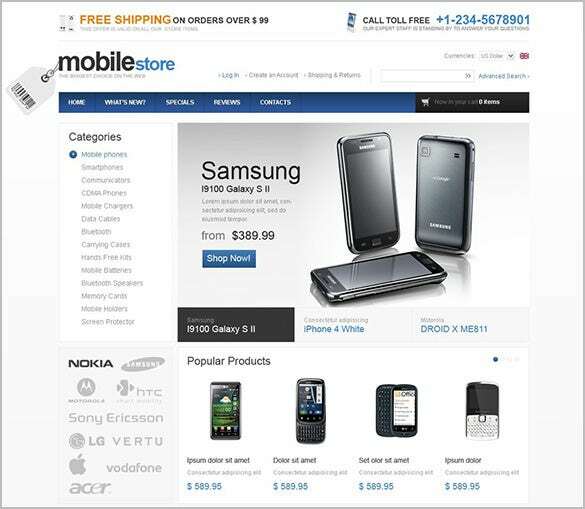 Mobile store transforms your online store with its classy touch. The white and silver background shade is cool and catchy, along with it the two column layout, latest and special sections and category wise search option. If you want simple, yet classic, then this is the perfect mobile store theme. 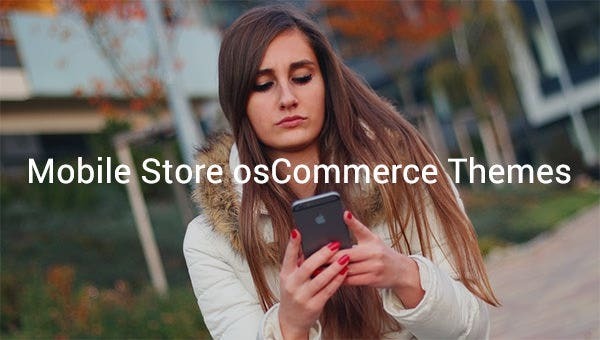 It uses OsCommerce 2.3.1 and it is perfect for an online shop or store. There are many pages that you can create for the page, including for every brand. If you want a beautiful website, then this is the perfect option. It is simple, yet elegant and it has great pages, including specials, new products, home and much more. 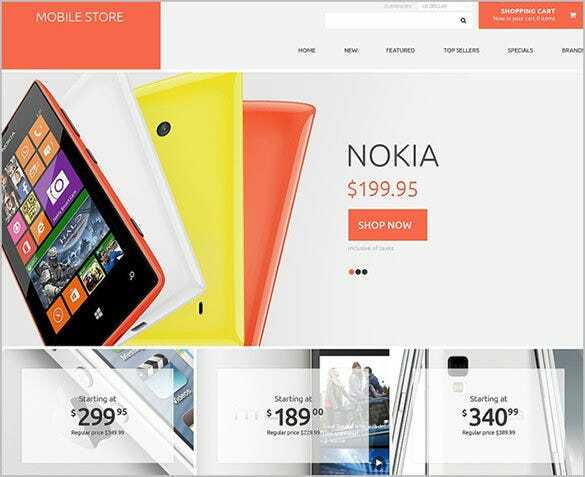 This is another stunning mobile store theme that you can use for your online store. 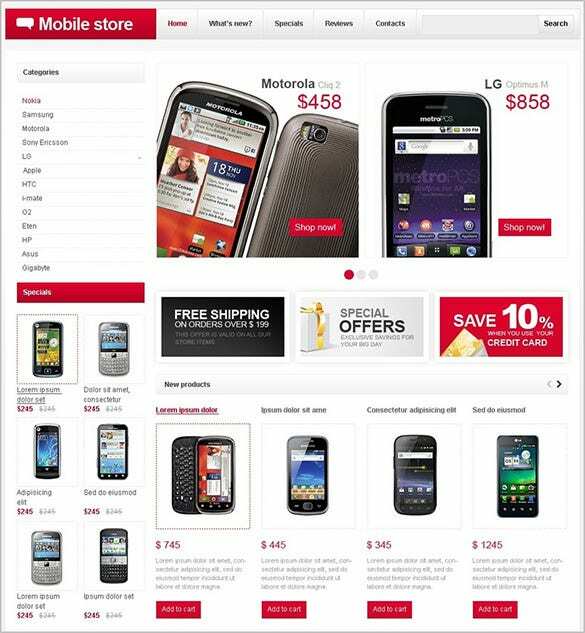 You can have a home page, new products, my account, specials and more, including categories for different phone brands. Just download these premium quality templates and enjoy creating your own website with cool features like easy backups, managing statistics for products and customers and a lot more in the latest version of osCommerce for absolutely free. 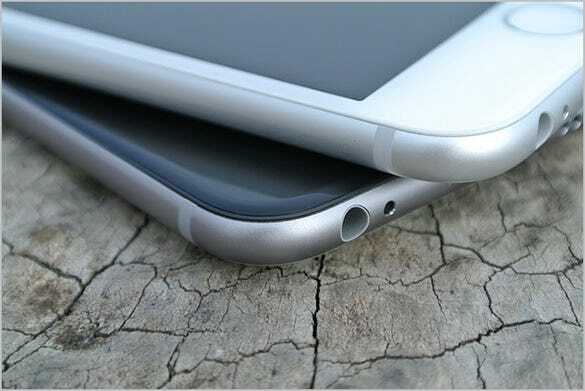 There are many times when you would need to open an online store, including for selling phones. Here are the best templates with the hottest features, so go ahead and browse for the best one now.